As we age, our skin becomes wrinkled and saggy. We might not be old from inside our heart, but our appearance makes us look old. To avoid the risks and discomforts associated with surgical skin rejuvenation, the cosmetic surgeons have introduced a non-surgical and non-invasive Ultherapy treatment for skin rejuvenation. Ultherapy is an FDA approved, non-surgical and non-invasive skin rejuvenation procedure that uses ultrasound imaging to enhance the collagen production. Once you are all set for undergoing the treatment, the procedure starts with the cleaning the surfaces of the skin with oil or any residue. Your cosmetic surgeon will place the Ultherapy device on the skin with correctly utilizing the ultrasound viewer to adjust its setting. The Ultrasound energy will then be applied to the surface of the skin to rejuvenate it. During the procedure, you may feel slight discomfort and heat sensation, however, some anesthetic medication will be administered to ease any discomfort. The Ultherapy goes beneath the surface of the skin utilizing the focused ultrasound energy and heat energy to enhance collagen production. Following are the pre-requisites of undergoing the Ultherapy treatment. Unlike a facelift, you do not need to take days off from your work routine. However, few after-op steps are essential to get the maximum outcomes of the treatment. Correctly follow the surgeon’s instruction. Avoid sun exposure for several days. It is normal to experience swelling, tenderness and bruising after the treatment. The treatment areas include face, neck, chest, eyebrows, under the chin, etc. Discuss your treatment area with the surgeon at the pre-op meeting. Why people choose Ultherapy over facelift? Most people who want to rejuvenate their skin to get the younger and healthier look back have two options to choose from, surgical facelift and non-surgical treatment. Although, a non-surgical procedure does not produce as quick results as a surgical one, but it has been becoming the most favorite skin rejuvenation treatment for last 3 or more years. Following are the reasons for why people are choosing an Ultherapy over a facelift. Euromed Clinic Center Dubai has been serving its valuable clients for more than a decade. The clinic is equipped with the latest technology and can perform the best Ultherapy treatment in Dubai under the supervision of expert and board-certified surgeons. 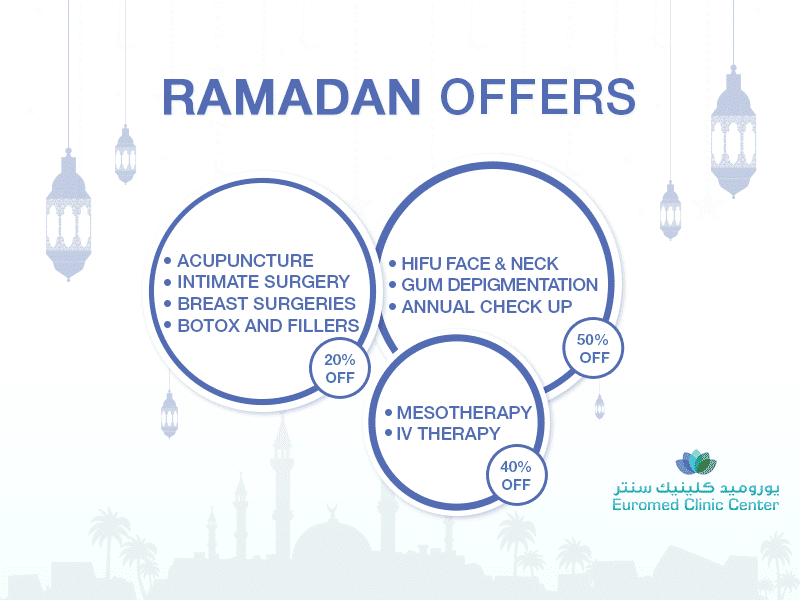 If you are planning to undergo the procedure of Ultherapy in Dubai, this is your chance to book a free consultation with Euromed clinic Dubai. The clinic is serving its clients for more than a decade now and has made its name in non-surgical laser skin tightening treatments in Dubai. How Much Skin Rejuvenation Cost?